Improvements in technologies, such as robotics and artificial intelligence (AI), will undoubtedly put jobs at risk. As machines become more intelligent, dextrous and skilful, there will be few tasks that humans can do better than their robot counterparts. Automation. But, what does it mean for humans? Well, according to IPPR subsequent job losses will lead to greater inequality. Certain groups of workers could be outright unemployed, and without work, where does money come from? Current society demands the possession of money to survive, thus the looming automation revolution could be disastrous. Universal Basic Income (UBI) provides a solution to this problem. A fixed amount of income, at a level sufficient for livelihood, provided by governments to all people regardless of work status or income. Once humanity has intelligent algorithms that can outperform us at almost every level, where will the superfluous and redundant human workforce go? This may well be the most important economical and ethical question of our time. This is not an entirely new question; since the industrial revolution people have feared mechanisation would cause mass unemployment. In reality, old professions became obsolete as new professions emerged. Humans could not compete against machines in terms of physical ability, but there were countless cognitive tasks that humans were always better than machines at. Hence the workforce moved from primary and secondary sectors such as agriculture and industry to tertiary sectors. Humans became bankers, engineers, and writers, and we always did a better job than the machines. In 2019, this is no longer the case. Algorithms such as Google’s GoAlpha learnt 3000 years of human knowledge in 40 days, outsmarting the best humans, and AI can now generate ‘paintings’ that dupe the world’s best art critics. Literature, film, and music, are similarly witnessing humiliatingly intrusive algorithms that outperform our human aficionados. Where else can jobs migrate to when humans cannot compete on either a physical or cognitive level? 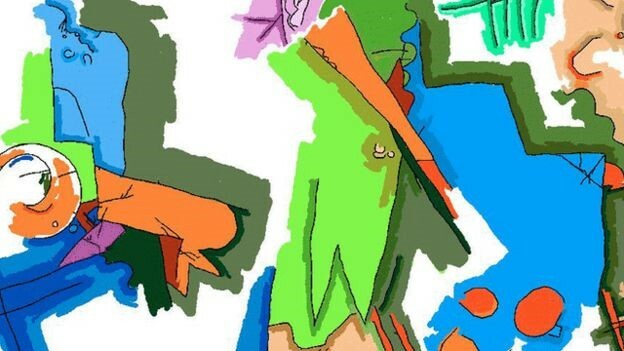 Caption: Pablo Picas-no – AI generated art. Kantian ethics argues we have a duty to make accommodations for these displaced workers. A cornerstone of this school of thought is the equity postulate; to treat others as equals, with equal concern and respect. Consider Uber, which employs 3 million drivers. When a tireless AI algorithm replaces a taxi driver who must return home to sleep every night, millions of people will see their livelihood disappear in a flash. Meanwhile in Silicon Valley, as labour costs vanish overnight, the CEO of Uber will wake up vastly more wealthy. Who wants that? With the inevitable march of technology eating away at job opportunities and the disparity of wealth increasing, Kantian ethics states that we have a duty as a humanity to share the fruits of automated labour. Framing the issue with care ethics leads us to reason that we must maintain the needs of the individual. UBI would fulfil at the very least the foundation of Maslow’s hierarchy of human physiological needs; enabling people to feed, cloth and house themselves. In fact, a UBI experiment in Finland which saw 2000 people receive a no-strings-attached monthly payment, found no disincentivization to work plus a significant reduction in problems relating to health and stress, suggesting UBI fulfils not only the basic needs but also the higher, psychological needs of Maslow’s triangle. Looks like we’ll be implementing UBI very soon then? Introducing UBI to solve the ethical issues of automation goes against the ideas of utilitarianism. By guaranteeing an income for everyone, society would be giving up on the possibility of former blue-collar workers remaining employed, due to a disincentive to take up employment in white-collar roles. The Executive Office of the President under the Obama administration produced a report concluding that instead, we should more directly address the structural unemployment issues raised by automation by fostering the skills, training, job search assistance, and other labour market institutions to make sure people can get into jobs. The major goals of automation are to increase productivity and reduce costs of retraining staff however, if the cost is increased unemployment and reduced innovation, then the majority will not benefit. This is reinforced by the fact that a 2016 referendum, to date the first and only vote on a UBI system, was defeated by a majority of 76.9% in Switzerland. UBI also fails to satisfy from a care ethical viewpoint. A countrywide system would require significant funding. Any savings from increased productivity and the elimination of other state welfare schemes will likely fall short, once tax revenues are adjusted for increased levels of unemployment. In the US, it was predicted that UBI would cost somewhere between $2-4 trillion per year, equating to a 50% increase in federal expenditure. How would society be affected if funding was sourced through increased taxation? Increased unemployment coupled with higher taxation would place an increased burden upon the employed to support society and its services. A rift could form between those that remain in jobs and those ‘free riding’ on the UBI. Even if not funded directly by increased taxation, this could compromise existing financially stretched government priorities such as infrastructure and health services. Individuals may also feel a duty to work, and receive a salary reflective of their efforts, in order to provide for themselves as well as contribute to GDP. Disconnecting the link between work done and money earned may damage this dutifulness. Implementing UBI would be such a large, sudden economic change that it is hard to predict exactly how it would affect society. The government has a duty to keep the economy safe, especially during times of such uncertainty. Would it be responsible from a duty ethics perspective to introduce policies that would cause such seismic shifts in how society functions? It is inevitable that automation will largely replace human jobs in the future. However, providing a Universal Basic Income is too much of an uncertainty to be viable. Instead, it is important for all stakeholders-governments, policymakers, regulators, businesses, academia and the people- to collaborate and create a meaningful partnership between technology and people. You say “UBI also fails to satisfy from a care ethical viewpoint” but I’m not sure I understand how UBI fails in this regard. Could you explain please? From your article, it’s clear that is consideration give to the ethical theories but can you bring them further forward please? Jon Snow rides a dragon in the recent Game if Thrones episode before Samwell tells him he’s really Aegon Targaryen. Lord Umber is then found at Last Hearth dead via White Walkers with limbs around him making a spiral shape. Really interesting topic and very well written article. Coming from the media production industry myself, it’s both fascinating and daunting seeing how advanced technology is becoming and what it could mean for my potential, or lack thereof, to progress in the industry. In theory, UBI seems the most logical solution to such a pressing issue. From my understanding, this would essentially create a communist society, which has been and probably always will be a polarising topic. So although I believe UBI would be what’s best for society, in a time where we are more divided as people than ever, I do think it’s simply not viable in the world we live in today. Dead interesting topic! Throughout history jobs and industries emerge and are then replaced by more efficient means, it’s societal evolution. Look at the Luddites who destroyed textile machinery because they were afraid of the impending Industrial Revolution – without which we wouldn’t have the phones, laptops or tablets were all reading and commenting on now. One thing that doesn’t change is the basic human need to eat, keep warm and sheltered etc. basically the stuff that UBI would provide. This is where I’d disagree with DominicCT comment above regarding communism. Ensuring a basic standard wage wouldn’t go as far as to remove competition or the potential to choose a job path and make more money it would just work towards eradicating poverty whilst retaining individuality. What I’d be interested to find out a bit more about would be what would the possibility’s of AI being used to improve standard of happiness and life amongst workers by cutting hours, stress levels, responsibility rather than having a complete replacement of human workers with AI? Taking AI to its logical conclusion would see a handful of colossal tech firms pumping vast capital into AI development and replacing the majority of ‘ordinary’ jobs. It’s been argued by Martin Ford that this could ultimately lead to a ‘techno-feudal’ society, with the owners of AI capital living in gated communities, relying on robots for their protection and sustenance, whilst those without investments in AI capital struggle to live as the cost of automated lifestyle is beyond their reach (considering they no longer have an income). This is a terrifying thought and a reason why this is such an important issue to plan for. I like how this article cites the industrial revolution as an example of where this has happened before. We don’t want to become the luddites of the 21st century and try to hold back the tide of progress – this would be as undesirable as it is impractical. Not sure I get the explanation of why it contradicts utilitarian theory. As long as white collar jobs pay higher wage than the UBI rate, there will be an incentive to work to afford luxuries inaccessible to those whose only income is UBI. This will be especially true since wealth is often seen in relative terms, so people would naturally strive to earn as much as their peers. The market rate for white collar jobs will be set by supply and demand, and should therefore reflect the utility foregone in missing out on leisure time by working. Unsure why a referendum rejecting UBI reinforces the point that automation won’t benefit the majority. I guess this mainly leaves the problems around funding such a scheme. My (possibly utopian) solution for this would be a change in the law such that when a person is made redundant, as part of their severance package they receive shares in the technology which replaces them. The dividends from such shares, call them “tech-dividends”, can act in a similar way to a private pension. The state should also be entitled to shares in such technology, since without the educated, healthy and safe society provided by the state, tech firms would be unable to develop the tech from which they profit. The dividends from these shares could then be paid out to the unemployed public as a state “tech-dividend” to combine with the tech dividends received from the shares in their old employers. This should also be desirable to the tech-firms: as the population of unemployed grows, this will slow demand for the produce of AI, and profits will begin to fall. Henry Ford’s business model in the 20th century centred around the idea of workers earning enough to buy the products they produce. This same principle will still apply in the 21st century. This is an interesting concept that AI will ultimately take over the role of human tasks. The big negative in this theory is that, for want of a better word, a “robot” is only as good as the programmer wants it to be and so the possibility remains that the programmer could incorporate some self limiting features into the methodology and so ultimately would retain the overall control of how the system develops and the impact on the human landscape. Undoubtedly AI could be used to do those jobs that humans either do not or cannot do eg working with hazardous materials, in areas of low oxygen, poor light, high pressure, underground, at the sea bed etc but the fact remains that there will always be some jobs which require the human touch: care of the elderly, working with children, many physical nursing and mental health care tasks for example. Also there will be the need for a huge shift in trust for people to feel comfortable with a driverless Uber, a robot dentist or optician and the like. Under these circumstances AI could be viewed not as a complete replacement for human endeavour but a complimentary replacement and in this complimentary environment UBI would play a vital role. A really in-depth article on a very relevant topic. One point that you could consider is the decision-making capabilities of AI. What do you do regarding more contentious situations, such as those within the healthcare industry? A possible solution would be that humans retain their positions in this sector, thus rendering UBI unnecessary as there would still be a surplus of jobs available. This is especially true taking into account an aging population, with increasing levels of care required. Alternatively, AI machines could still take over these roles. If this is the case, how do we ensure adequate accountability for decision-making? Take the example of a robotic surgeon in an operating theatre. In the case of loss of life, is it the programmer who is to be held responsible? Or someone else in the design process? Assuming that the machine learns from data and experiences, how do we ensure that it has been exposed to the appropriate level of information? Given the high stakes of these situations, it seems unlikely that the financial gain would be sufficient incentive for any individual to work implementing AI here. Overall I think your article is an interesting take on possible economic consequences of automation; in my opinion, the big question is whether AI will actually reduce the number of jobs available or help us to combat current social issues, such as the aforementioned aging population. Coming from the car industry, automation has always been part of any production line. Robots paint vehicles, move heavy components and even weld parts together without the need for humans. For years, those on the production line have learned to adapt or risk losing their jobs. And when they have dependants who rely on their income, the cost of redundancy is too great. Humans will adapt to automation over the coming years; it’s just that some industries will take longer than others. I also agree that robots/automation may not necessarily have a part in all industries. For example, when developing prototype vehicles, the time it takes to program a robot to do something is far, far greater than simply using a human technician. Robots will take some jobs, yes, but not all. On that note, implementing UBI might work but not without its downfalls. Put simply, it raises the baseline income for everyone. It makes the poorest richer in terms of raw income but, relative to the richer, they are still poor. In addition, UBI can only work if it keeps up with inflation. If not, then the poorest will still struggle. By creating the same amount of wealth for less human input, automation offers a huge potential benefit to society. The difficult question is how can this wealth benefit be distributed in manner deemed to be fair to all parts of society. Owners and innovators of the automation need to be compensated and those removed from the workplace need to be supported through retraining, new job creation and financial support. Ultimately, it is in the interests of the owners to share some part of the wealth benefit (as pointed out by felixivers above – little wealth will be created if the population have little money/few jobs to buy the goods created by the robots). However, the current failure of governments to cooperate and collect a ‘fair’ level of tax revenue from large multi-national companies is perhaps one example of how difficult this might be to achieve in practice. •	policy aimed at creating new types of jobs that humans can do better (or that customers prefer) or jobs that are considered more socially appealing (such as healthcare and care of the elderly) or environmental jobs that better help us to tackle the huge problem of climate change. •	Reducing the number of hours in the working week to help combat stress and improve family and leisure time. Fighting the development of AI technologies is not in anyone’s interest. As the article links this development to progress made during the industrial revolution. In the country we live in under the current economic climate UBI could offer a financial parachute to those made redundant due to technological advancements. It should be noted that this should not seen as ones only income but instead as an assistance for those struggling. UBI would not “stagnate human advancement” as you have stated, it would instead give people a chance to live there dreams and realise the common goal to improve the world we live in. A very interesting and well-written article. I agree that the idea of UBI with the upcoming age of automation may sound promising, however I think it would be too much of a threat to society. With less people working and more people not having a day-to-day job, it’s going to massively affect people’s everyday lives and frame of mind/mental health. For the majority of people, a job takes up a huge part of your life, and its hard to imagine life without one. Another point to consider that the article mentioned was where the money is going to come from to feed people. It seems logical that since its the companies benefiting from the increased level of automation, that they should be helping governments in funding the UBI programme through taxes etc, but how to do this is an area that would need an amount of discussion. I would like to think that AI and humans can work together in the workplace, seeing as each has its strengths and weaknesses, before anything as drastic as UBI has to happen. Is it ethical for engineers to work on projects for the Qatar World Cup?